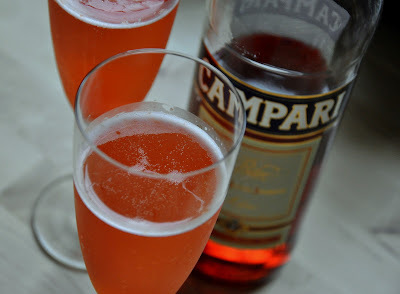 I've never been particularly fond of Campari because I've always found it to be too bitter and without any depth. But this combination of orange, simple sryup, and lemon gives it just the right amount of zing in this bubbly drink. It's not exactly popsicle season, but these frozen nuggets are tasty and fit right in for fall and winter holiday festivities. If you don't have a popsicle maker/freezer you can also freeze the mixture in an ice cube tray for more visually appealing results. They're a good idea for parties or even a nice change from your usual mimosa at brunch. Also a good option for NYE! 2. Combine all ingredients, stirring well. Divide among popsicle molds and insert sticks and freeze until firm, OR divide into ice cube trays and freeze. For the recipe below I used silicone ice cube trays like this one. 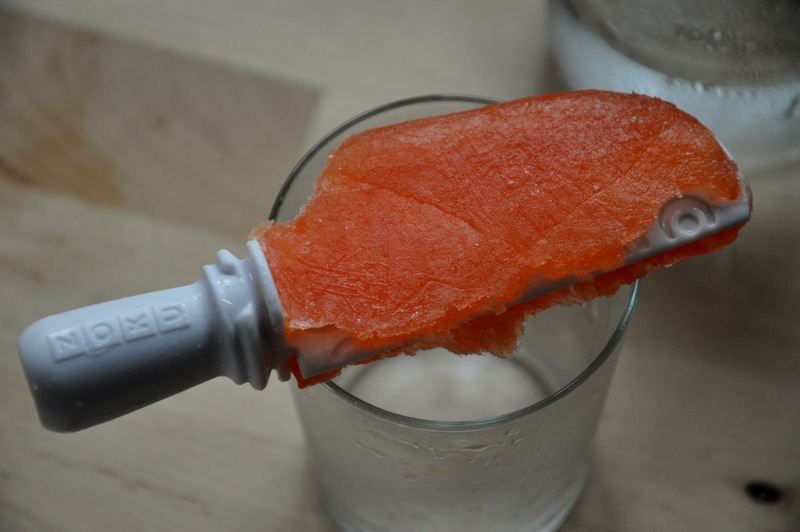 *Note that adding any alcohol, such as Campari, will make your frozen treats softer than you might be used to! Add two cubes of frozen Campari goodness (or break up about half of a popsicle) to the bottom of a champagne flute or coupe, top with Prosecco and serve immediately.